When should you install a new roof? The importance of your roof is more significant than you may even know. Not only does your roof protect your family and all of your items from outside elements, it also aids in the comfort you experience inside of your home. Your roof also affects the amount your energy bill will be. Being that no roof is capable of lasting forever, it is important to know when you need roof repair in Killeen Texas, or a completely new roof installation. 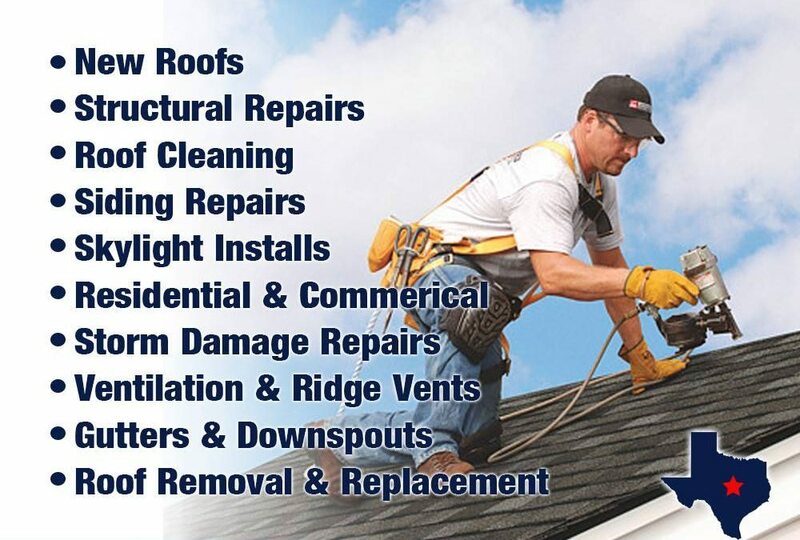 If you are juggling between the idea of roof repair in Killeen Texas or a roof replacement, be sure to contact the professionals at Hubbert Roofing. The first thing you should look at when deciding if you need roof repair in Killeen Texas or roof replacement, is the age of the roof. If your roof is approaching (or past) it’s expected lifespan, you should get a roof replacement. The lifespan of a roof is determined by the materials and construction methods used when the roofers built it. The next thing to consider are the benefits of getting a new roof. Getting a new roof may be an expensive decision, but it comes with a lot of benefits. In order to determine whether purchasing a new roof is worth the investment, be sure to contact Hubbert Roofing. By replacing your roof, you can enjoy better comfort inside, a better peace of mind and lower utility bills. Unless you are a professional, it can be difficult to determine whether you simply need roof repair in Killeen Texas or a roof replacement. For this reason, you should get your roof professionally inspected so that you can get the best recommendation for your home. Contact Hubbert Roofing for your roof inspection and to determine whether a new roof is right for you. Hubbert Roofing provides the best product, for the best price with the best customer service. We take serious pride in protecting our reputation with the proper completion of every roof we undertake whether residential or commercial.